I have just had my head blown by a track on this Theo parrish Frank Roger set. There is track around 2hours 19 mins till 2hours 23 mins which I have to know what is wow space fusion Jazz houese but so soulful this made me nearly come it was so good ha ha Please supply a tracklist I beg you my friend. How about the track at 00:40:00 with the heavy sonic??? I need it 😉 The set is great! Thank & greetings from Cologne. 01:44:27 ??????? “anybody knows?? 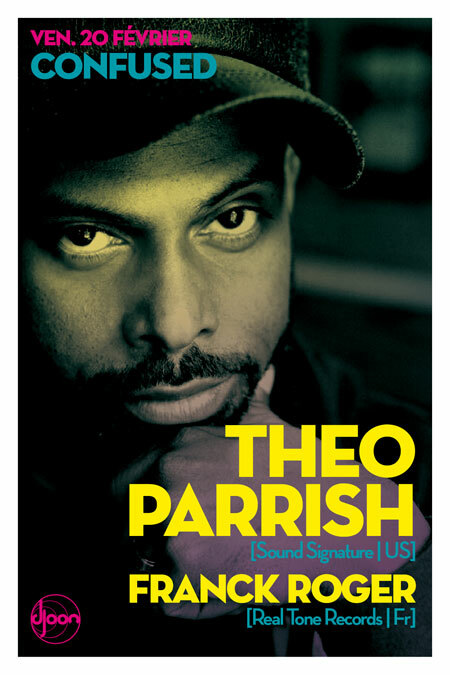 ?” maybe not released Theo Parrish Track??? Sound is no matter! Thanks!! Appreciate trackIds between 01:02:00 – 01:15:20.
anyone can ID this outrageous song that says “do what you wanna do”? 03:26:00 LCD Soundsystem – 45:33…… this track is so sick, nearly blew my monitors out. THANX! Does anyone know what the final tune is? How about the one at 03:00:00 ?? 3:31:57 : previous song continues ? 3:51:37 : previous song continues ? Thanks a lot you all! What to do without you people?! Still, the final tune? What in god’s name is it? 4:12:12 : ? = Harold Melvin & The Blue Notes – Is There A Place For Me (from the Black & Blues LP). I’m sorry beyondjazz but the song that Theo plays at 03:00:00 has nothing to do with “there was a time”. I have two versions of “there was a time” (one at Gold compilation and the apollo live) and it’s nothing to do. so please, does anyone knows about the one played at 03:00:00?? Thanks a lot to Bazisz and Beyondjazz, and sorry Beyondjazz for saying you were not right. Anyone knows about track played around 01:00:40 – 01:07:00? Sound Signature?? Please Help Me! It would be great to find out the tracklist! I need you’re help with the following tracks…..
1:44:27 – Jackey Beavers – Mr Bumpman (Give Me A Hand) (Theo Parrish re-edit)…..
Is this going to be released? Does anyone know the track directly after Jackey Beavers – Mr Bump Man (around 1:44:00). I really need this!!!! Track at min 40 is Schatrax – I believe called ‘Restless Nights’. Classic – didn’t expect Theo to play that. Oh – wasn’t Theo but Frank Roger playing the Schatrax track. Makes more sense. This is good music, these guys make a good pair (Theo and Franck). This party must have been amazing. I am waiting with interest for the two tracks from 1:02 to 1:11. I have also posted the tracklist on mixesDB maybe someone will help over there! Thank you for the great great music. …and the second track Theo started with @ the 01:03:00 mark ,please. Would anyone help me complete the DJ DEZ live on cjam radio playlist ?